Joe Sugg says his success on Strictly Come Dancing has given other YouTubers hope of having successful TV careers. The 27-year-old made it to the final of the show in December, losing to Stacey Dooley. Speaking at a conference for vloggers this weekend, Joe said his appearance “was beneficial for the whole of social media”. He previously said he hoped going on Strictly would “build a relationship” between vloggers and broadcasters. Joe was speaking at VidCon London . But that transition from social media to telly is not one all are capable of making. “They need help,” Lucy Loveridge told Radio 1 Newsbeat at the convention. Lucy’s the head of talent at Gleam Futures – the UK’s largest agency for online stars. Recently there’s been an increase in traditional media booking online stars: Zoe Sugg (Joe’s sister) took part in The Great British Bake Off for Comic Relief and Trisha Paytas appeared on Celebrity Big Brother. BBC Radio 5 live also hosted commentary of the boxing match between YouTubers Logal Paul and KSI. 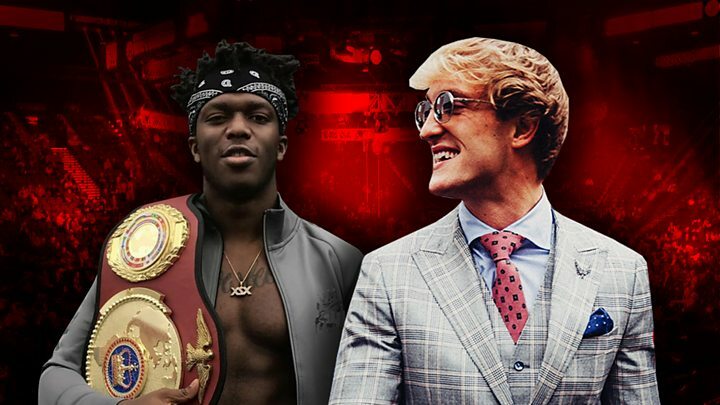 Media captionKSI v Logan Paul: The biggest fight of last year? Holly Horne, who has more than 13m followers on social media app TikTok, says she’s starting to be approached more by execs. The 22-year-old from Guernsey, known online as HollyH, posts comedy lip syncs and is the most followed Brit on the platform. “I’ve had a couple of meetings over the past few days which have been insane,” she tells Newsbeat. Holly also said she’d like to move into movies and is working on a CBBC series. It’s the same on the other side of the Atlantic too. “We’re getting opportunities because of YouTube,” the Merrell Twins tell Newsbeat. The 22-year-old sisters post comedy sketches and music covers to their four million subscribers. “I’m not trying to brag but it’s crazy the numbers we can bring,” Veronica explains. “Because of YouTube” they’ve just landed a role in upcoming comedy film Limited Partners starring Salma Hayek and Tiffany Haddish. Younger audiences spend more time online than they do watching TV or films, with only 10% of young people getting “almost all” their TV programmes through a TV screen. But, as Lucy Loveridge explains, there’s a limit to what online stars can bring to TV. “We are now proving to traditional media that if you develop us and train us we can be just as good as Davina McCall, Alan Carr or Graham Norton.